Calculated on a group of 10 people. With its popular and well-loved destinations, Thailand has much more to offer than its bustling cities and exotic beaches. Known by few, Thailand has an array of areas that hold a multitude of hidden treasures that you wouldn’t necessarily know about until advised. From secret temples to hidden caves and floating market to magnificent national parks and best-preserved beaches and corals, this tour is a true inspiration for your next Thai escape…For those looking for sanctuary and seclusion away from the traditional tourist hotspots, this 10 days tour combining city, beach and jungle, could well be the answer. The Journey will start from Bangkok, bringing you the finest experiences in Thailand’s enigmatic capital. Taking advantage of a rich cultural heritage, exciting nightlife, stage shows, natural beauty and more than a few hidden gems, you will find plenty of ways to enrich your trip. Moreover, you will have the chance to discover a farmers’ community in Bangkok surroundings, where lotus flowers are grown, that are offered in Buddhist temples. From here you will discover Thailand’s liveliest and most picturesque floating market and one of the most ancient and iconic, riding a train along the Death Railway route to River Kwai Bridge. From Bangkok you will venture inland to the wondrous 738-sq-km Khao Sok National Park. Extraordinary, stunning Khao Sok National Park is composed of 400+ square miles of rugged limestone mountains and lush tropical rainforest. One of Thailand’s hidden treasures; its relative remoteness helps insure its status as an off-the-beaten-track, undiscovered treat. The centerpiece is vast Chiaw Lan Lake. Over 100 miles long, it was created by the Ratchaprapha dam in 1982. Often called Thailand’s Guilin for its karst landscape, it is characterized by limestone outcroppings, similar to those in more famous Phang-Nga bay. Many believe this lowland jungle (Thailand’s rainiest spot) dates back 160 million years, making it one of the world’s oldest rainforests, and it’s interspersed by hidden waterfalls and caves. Khao Sok National Park is a huge national park in Thailand which belongs to one of Thailand’s best-hidden gems. The park is home to wild elephants, gibbons, hornbill birds and even black tigers! During a Khao Sok National Park tour, you will stay in a floating bungalow on Cheow Lan Lake, a man-made lake, originated by flooding the jungle to build a dam which now creates power for the entire region. Spend your day taking in the amazing scenery, jungle hiking, exploring caves and over 100 islands with towering limestone cliffs that give the lake its fairy-tale swimming, and relaxing at the floating bungalows. During this journey you will have the chance to unwind and discover one of the most well preserved paradise of our planet down to Ko Surin National Park for a really unique lifetime experience. The Islands are still the ideal place to get away from it all. Its lovely opaque emerald waters are surrounded by primeval jungle and mangrove forest, and snow-white beaches that melt under flame-and-purple sunsets. At the same time this itinerary offers a unique opportunity to experience the way of living of one nomadic community, the Moken, known as sea gypsy. One of the few remaining hunter-gatherer populations in Southeast Asia, the Mokens have made the sea their home, foraging food from oceans and forests, trading fish and shells for other necessities, and traveling by boat across the waters of southern Burma and Thailand, the Moken have maintained a self-sufficient, nomadic way of life along the andaman coast for hundreds of years. 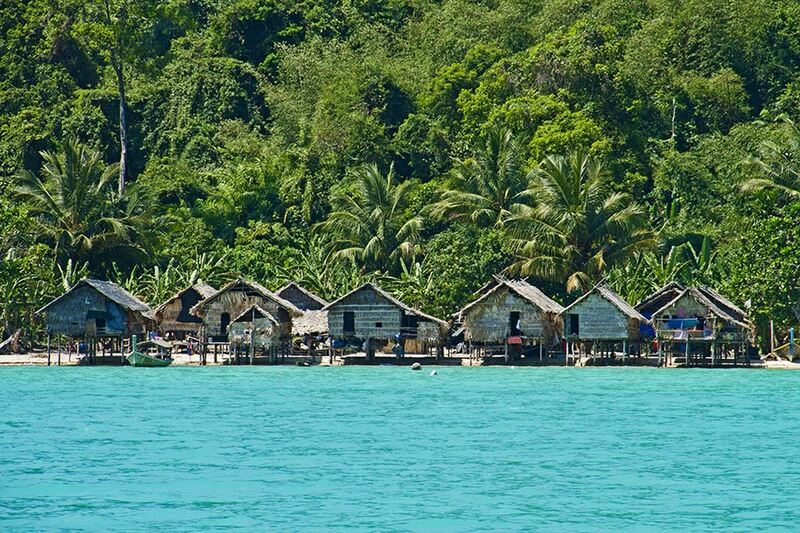 The discovery of Moken life style and the emerald green Andaman islands starts from Ko Surin in Thailand. Ko Surin National Park is a paradise of fine white sandy beaches, thick jungle, crystal-clear waters, and the most extensive coral reef in Thailand. It is also home of the Moken. who have lived in the waters of the Andaman sea for centuries. Ko Surin National Park is the ideal place to go for people wanting to experience nature in its most beautiful and pristine form, and connect with a culture that can still practice some of its traditions in this modern world. After breakfast transfer to the airport and fly to Phuket. Transfer from Phuket airport to Khao Sok National park. Arrive to the Khao Sok National Park area and bask in the fairy-tale scenery of the vividly coloured limestone mountains that rise sharply above the untouched forests. The jungle here is over 20 million years old and is home to a vast variety of flora and fauna species, and a perfect place for an eco-adventure and relaxation in beautiful nature. After lunch join a local community group for a canoe trip down a gentle river while floating by towering limestone cliffs to take in the scenery. Stop and enjoy a hot drink from a handmade bamboo cup with your local guides. Learn how your trip and these guides help to conserve this local environment. In the evening go on a scheduled Night Safari included in your program. Explore the jungle at night to learn about the many nocturnal animals and insects that come to life in the dark! Enjoy a full breakfast and go on an overnight trip to Cheow Lan Lake. Joining with a guide and 8-10 other guests, take a boat ride through incredible scenery to a raft house where you will have lunch. In the afternoon, swim in the emerald waters and go jungle hiking or spend some time kayaking. After a fresh dinner spend the night in a floating bamboo bungalow. Overnight: Floating bamboo bungalow at khao Sok (B/L/D). or kayak until lunch, then take a boat to Rajaprabha Dam. Transfer to Kuraburi check in in the eco-resort and relax. After breakfast transfer to Kuraburi pier where you will meet your guide and get your snorkeling gear, transfer to Ko Surin and check in the National park. Meet your local guide take a long tail boat to Moken village. A tour around village insight into the intricate rela4onship between the Moken and their surrounding environment. Learn about the brightly colored “Spirit Poles” and Moken homes, built on wooden silts directly on the beach. Participate in a handicraft workshop and learn the traditional art of Moken weaving. Use forest Pandanus leaves to weave a natural bracelet. Keep it as a souvenir and show off to your friends at home. Forest hike – your Moken guide will highlight useful plants, including medicinal herbs, edible species, and those used in construc4on of tradi4onal houseboats. Snorkeling – coral reef explora4on with Moken guide. Your guide will take you to a wonderland of colorful tropical fish and allow you to witness the impressive Moken swimming techniques. End your day with your Moken guide and return to the park headquarters to relax and enjoy the sunset from the white sand beach. Overnight in Ko Surin National Park (B/L/D). After breakfast meet your Moken guide and take a snorkel tour to see the underwater life of the sea gypsies, how they have adapted to living in. Return to the park headquarter to have a Thai style buffet lunch. Hop back on the long tail boat to go visit special Moken places around the islands and learn how they have lived here for generations. Back at the park headquarters enjoy free time to walk the beach, relax, and enjoy the sunset Dinner at the national park restaurant canteen. Overnight in Ko Surin (B/L/D). After breakfast transfer by van to Phuket airport and continue to Bangkok for your international flight back home. We are committed to providing local people with a complimentary source of income while still continuing their traditional way of life. We also directly support the communities in which we work by putting excess revenue back into village. 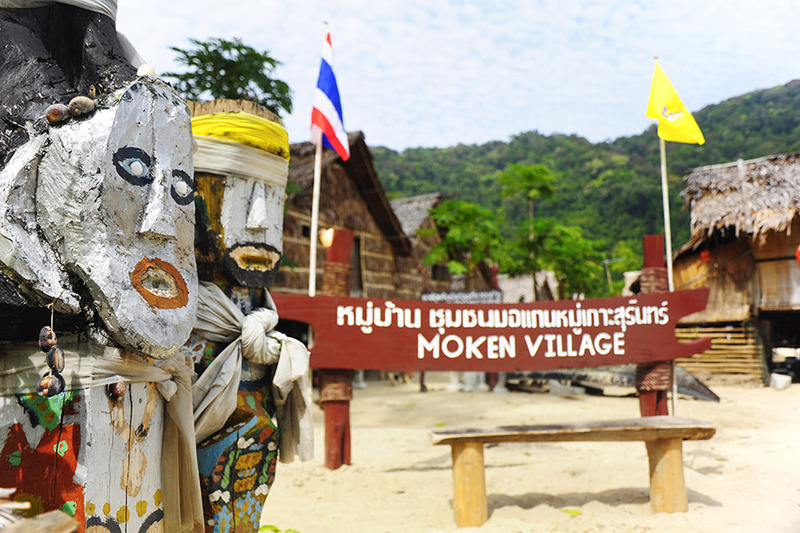 Proceeds from our private tours are donated to the Moken Community Fund which servers the Moken and their greater needs. Funds can go towards community improvements, health emergencies and elderly care. The villagers – the guides, host families, handicraft cooperatives – receive fair wages as stipulated by the community-based tourism committee. We ensure that a majority of the money from each trip goes directly to the villagers and contributes to the community fund. This creates jobs to help families stay together instead of working in towns far away, and supports scholarships, youth activities, and other initiatives. There are few economic opportunities for the Moken, so if you can, rent a Moken long-tail boat to visit the island. An easy way to contribute is to purchase their hand-woven pandanus leaf mats and bracelets or their intricate model kabang boats. Don’t be tight and haggle — they are very cheap already. With the people that you see, make eye contact and smile, as you are a guest in their village, not in a museum. Also ask about the Chok Madah Nature/Culture Trail in the Interpretive Center at the Moken village, Large Bon Bay. This is an educational trek across the island highlighting Moken ethno botany, which describes many of the plants traditionally used by the Moken for everything from medicine and food to tools and boat building. Moreover, your contribution of 50 euros will support development projects in favour of Moken located in Ko Surin and other Thailand islands through Community Fund as to address their major needs. it is not fit for everyone, a willingness to adjust to sleep in simple tents on the beach in Ko Surin National Park where there are not medical facilities. Because of the climate and general lack of medical facilities, you should be reasonably fit before setting off the tour. Inform your doctor where you are going to see if there are any special concerns. However, we recommend advising that to buy medical evacuation insurance which provides for helicopter rescue on their own before starting the trip. The purpose of insurance is to provide proper coverage suited to the specific needs of Adventure Travel and in the case of an emergency case, works quickly and efficiently. The insurance should also cover accidents, health and loss or damage to the personal effects. Luggage is hand-carried at various stages in the trip for long distance. We strongly recommend you limit your weight to 15 kilos. We selected beautiful and traditional heritages or eco-resorts with all the facilities throughout the tour. When possible resorts have been selected carefully according to criteria of social and environmental impacts. In Kuraburi we have selected a beautiful eco-resort for 2 nights (before and after the tour in Ko Surin). In Ko Surin National park only campsite with tents (bedding is provided; electricity generated from 6-10 pm) on the beach are available at the headquarters of the Park. Private vehicles o mini-buses with AC according to the number of participants from Phuket to Khao Sok and from Khao Sok to Kuraburi. From Kuraburi to Ko Surin National park we have arrange for a speed boat.